Alderspring Ranch, ID. Photo: Melanie Elzinga. The following is an excerpt from a case study included in WLA’s latest publication: Reducing Conflict with Grizzly Bears, Wolves and Elk — A Western Landowners’ Guide. The full guide is available for free download. 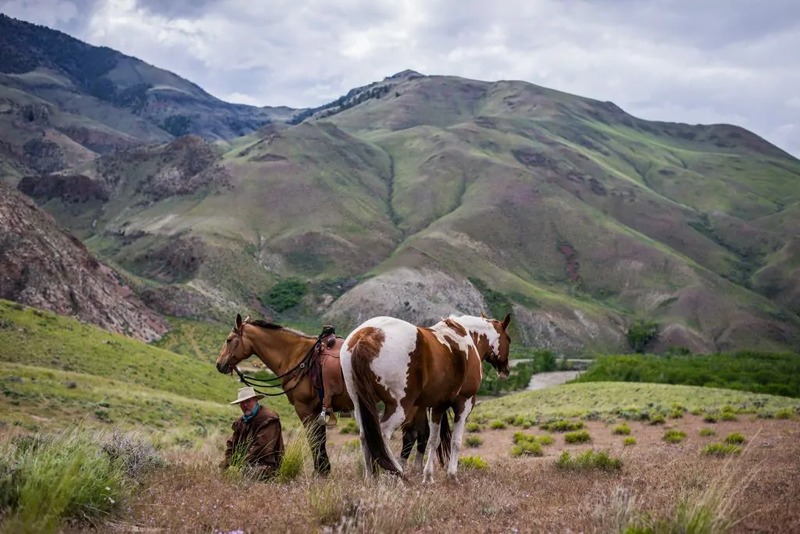 The Elzingas’ second goal is an ecological one: to continually improve the condition of upland and especially riparian habitats on the lands they steward for a variety of species, including wolves, sage grouse, salmon, bull trout and threatened and endangered plants. Through grazing management, the Elzingas have allowed the riparian areas to reboot and are now seeing species of willow and herbaceous plants once thought extirpated. 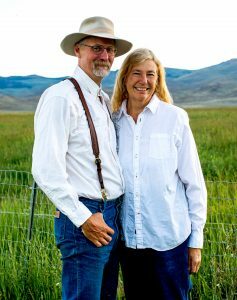 After years working for the federal government as a professional forester (Glenn) and plant ecologist (Caryl), the Elzingas shifted gears to cattle ranching in Idaho’s Pahsimeroi Valley. Part of their program includes training interns in low-stress livestock handling to protect yearling cattle from wolf predation. “We generally hire interns with a clean slate; that is, few preconceived ideas about livestock handling,” Glenn Elzinga said. The Elzingas select five or six interns out of 50-60 applicants each year. 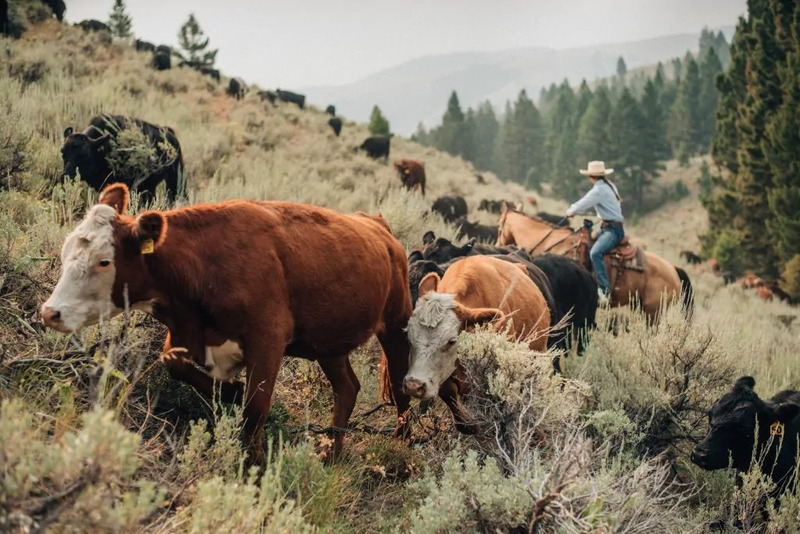 In summer, after wintering and calving in the valley, the Elzingas head to the high country with On the Alderspring Ranch in central Idaho, Glenn and Caryl Elzinga graze yearling cattle among wolves, lions and black bears. Alderspring Ranch, ID. Photo: Linnaea Elzinga.